← WIP Wednesday & Yarn Along. 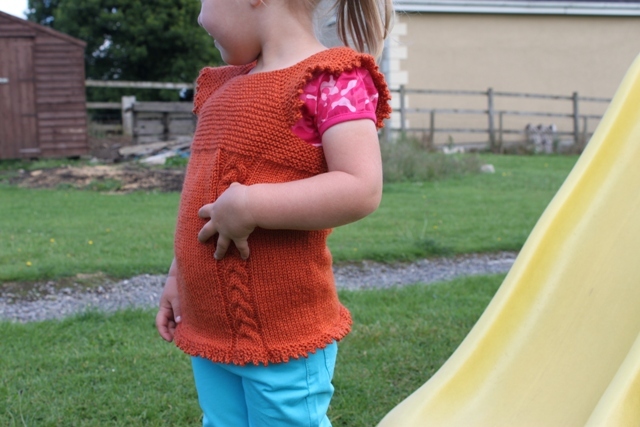 I finished up the Copper Pot Milo vest for Elizabeth earlier in the week and blocked it. It was ready this morning for photographing, we grabbed the camera and flew outside to shoot it while the rain held off. I’ve decided to now give a post over to each individual finished item I won’t be grouping the photos together in a collage so it is easier to see each item. 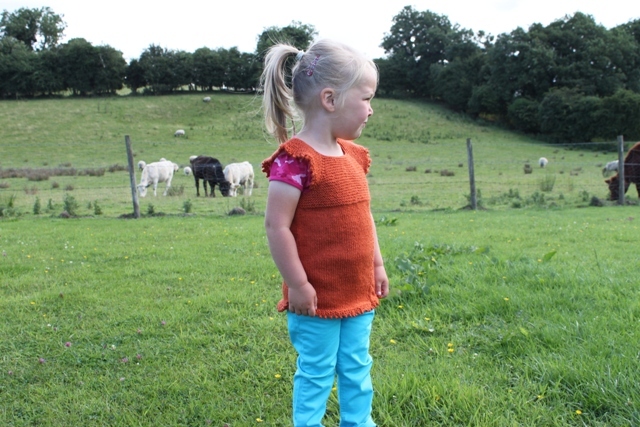 This Milo vest was called Copper Pot due to the colour reminding me of those big ole copper cooking pots! It was knit on a 4mm circular and I used Stylecraft Life yarn in a DK weight. Elizabeth chose herself the horseshoe cable for down the front of hers. 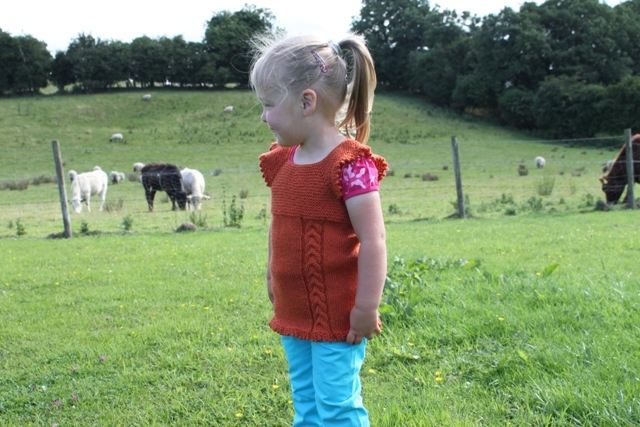 What I love most about this top is how you can make each one different. At the shoulders and hem I added a picot edge to it, thank you Kim for the tip. It really does make it a little bit more girrly and feminine looking. 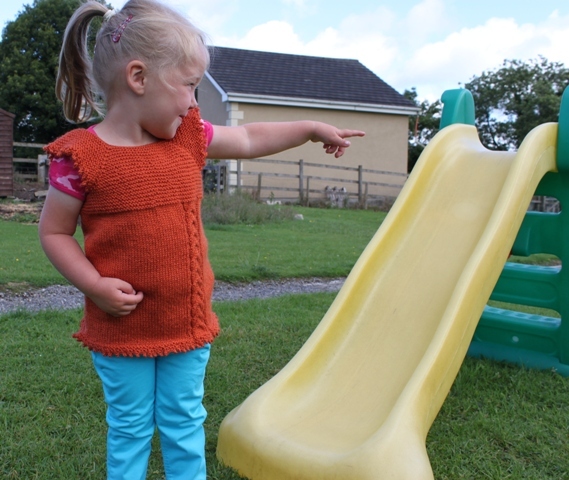 I knit this to the cast on size of age 4 but to the length of the age 5. This will give the vest a longer wearability and we are hoping to see this through until next summer, layered over t-shirts like here and in the cooler weather over longer sleeved garments. 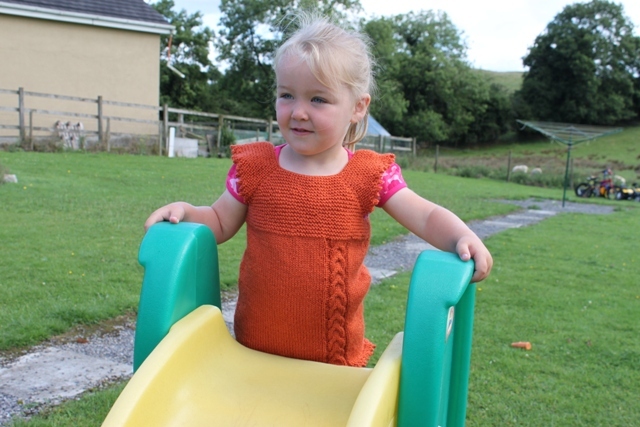 Elizabeth had such fun modelling this and is waiting for, not so patiently for cooler weather to come to wear it. 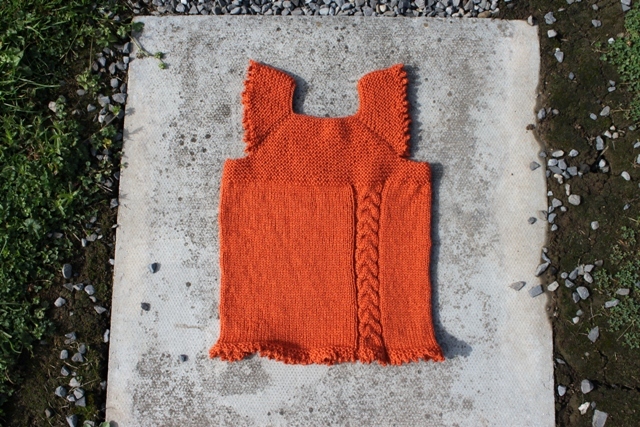 This entry was posted in Finished object, Knitting. Bookmark the permalink. This is so adorable! The color is perfect for the coming fall! Adorable, very cool that your daughter got to personalize it with her cable. How cute! And love the backdrop of the photos!!! She is just a doll in it. Not sure my comment too. Love it! Such a darling model and what a great backdrop. Congrats on the cute finish Ruth. Your daughter is an adorable model. This vest is so cute on Elizabeth! I love the color and the fit. She is a darling. 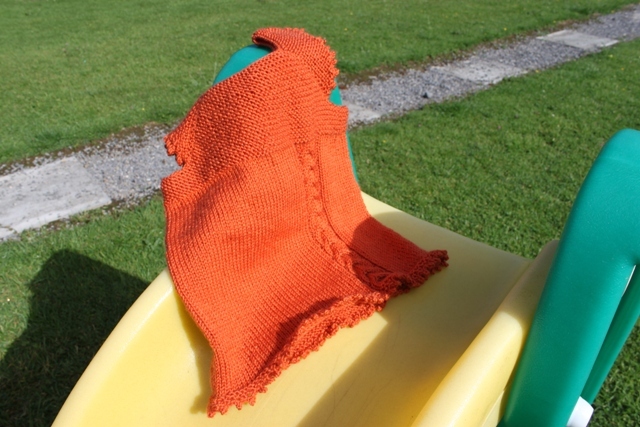 Love the color, picot edge, horse shoe cable and most of all the adorable model. Good Job, Ruth. She will get lots of use out of that lovely sweater. It is so beautiful! I love the color and the picot edge, I will have to try that one the next one I make, because it really does give it a girly flare! Sweet, and Elizabeth is really darling in these pictures! Thank you Sarah, she really is a cutie this just helps her girrly side because she is a tomboy at heart ! Simply lovely and the model to, its a nice colour well done.